Kamil Allawi Kadhim Dhedan al-Fatlawi. �	Analogical study to the respond of wheat farmers to the prices in Iraq. �	Using time lag between the investment allocations and investment expenditure in agricultural sector in Iraq. �	Analysis of the agricultural investment actuality (reality) in Iraq for the period 1970-1988. �	Estimate the consumption function in Iraq for the period 1980-2002. �	Estimate the demand for the money function in Iraq. �	The demand on the money in Egypt, Econometrics study. �	Globalization and international labor division . �	Analysis the relation between the expenditure and economic growth in Iraq. �	Activity of the fiscal and monetary policy in Iraq between the theatrical concept and scientific efforts. �	Analysis the impacts of the fiscal policy on the prices in Iraq. �	Analytic study to the actuality of Iraqi economy for the period 1970-2003. �	The effecting factors on the value of Jordanian dinar and Egyptian Pound, Econometrics study. �	Management of exchange rate in fluctuated economical environment, econometrics study to the Jordanian dinar and Egyptian Pound. �	Analysis of the human development indicators in Jordan. �	Estimate the poverty functions in selected Arab countries. �	Management of the foreign exchange rate in front of the Iraqi dinar under the monetary and real shocks. �	Vision for the future of Iraqi economy. �	Economic security in Iraq / adjacent to the perspective human development. �	Measuring the activity of the monetary and fiscal policy in Iraq. �	The effect of the pricing policy on rice production in Iraq. 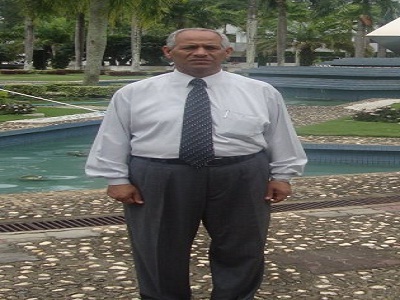 �	Analysis the reality of the manufacturing industry in Arabic Republic of Yemen.